The new innovative integrated Remote loader utilizes fast flowing pressurized air to create a vacuum that conveys granulated material in a silent precise operation. As an innovative solution for the commonly observed operational and maintenance problems on-site, this versatile system is equipped with our state-of-the-art, powerful, and user friendly Gravimetric Auger Feeder that adds precision to your bulk feeding process application. Integrated Remote loader utilizes fast flowing pressurized air to create a vacuum that conveys granulated material in a silent precise operation. This allows the maintenance and refill procedures to be done at the ground level and prevents maintenance crew and operators from hazardous climbing of the machines. This system also allows for enforcing fast and easy color change and it eliminates waste of colorant material without leaving residue in the line. The modular mechanical design of this system combined with advanced features such as adjustable mounting positions, chromed plated auger, modern stepper drive, and a built-in Wi-Fi Data Acquisition module provides a superior and highly efficient conveyance and metering solution. 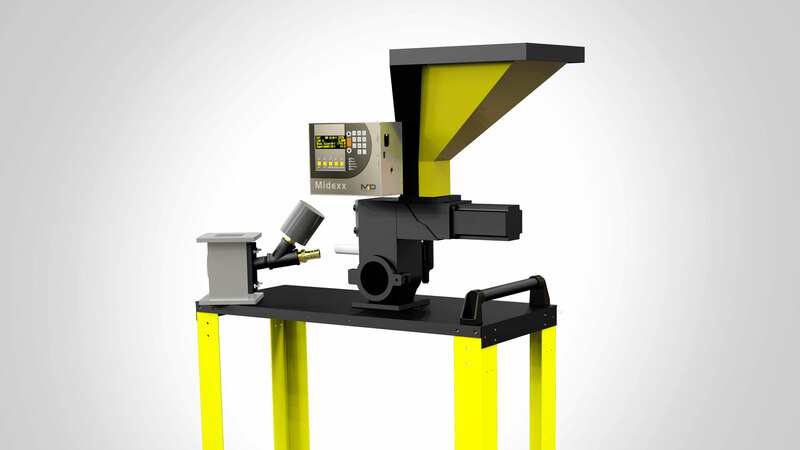 Eliminates the need for lifting up pellets and material handling of colorants to the machine throat as the Feeder can be mounted on the floor. 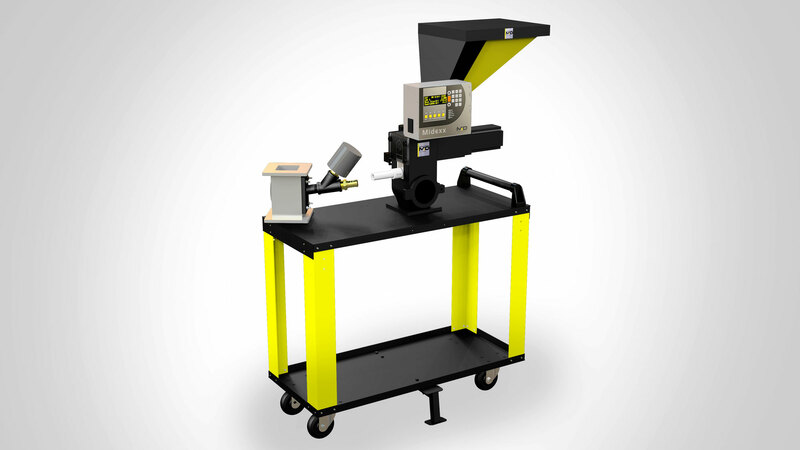 Reduces scrap in production due to color changeover – from 30 minutes or more down to less than 5 minutes. Eradicates the undesirable vibrations in Gravimetric dosing process using the innovative Active Noise Cancellation algorithm.